Actually, its more like Trump pulling another one of his scams. Hey, maybe if they all went to Trump University, they would realize in advance he was going to screw them? How did ANYBODY screw them ? A person pays in taxes throughout the year - based on what their tax liability will be. At the end of the tax season, they work up their tax return - do the numbers, check the tables and they either hit it on the nose, get a refunds or have to pay - just like always. If they didn't do their own return they should compare last year to this year, line by line, and see where the difference occurred - it should be right there in black and white on the 1040's. 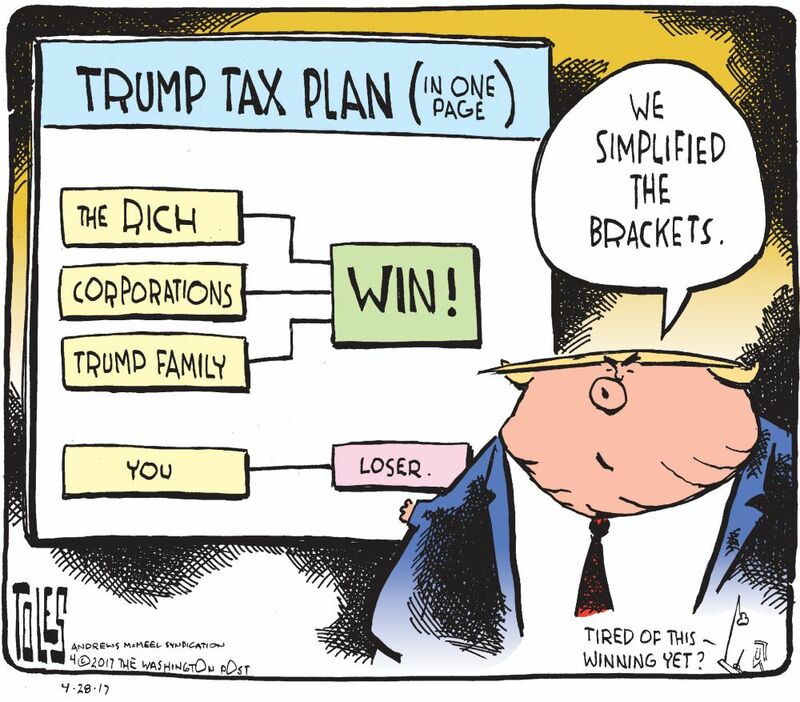 A little reading of the instructions and they should be able to tell exactly what happened and how the tax cut affected them - positive or negative. Just because you didn't get a refund or that it shrunk, doesn't tell anybody anything - Just shows their ignorance if that is what they are complaining about. Here is how. 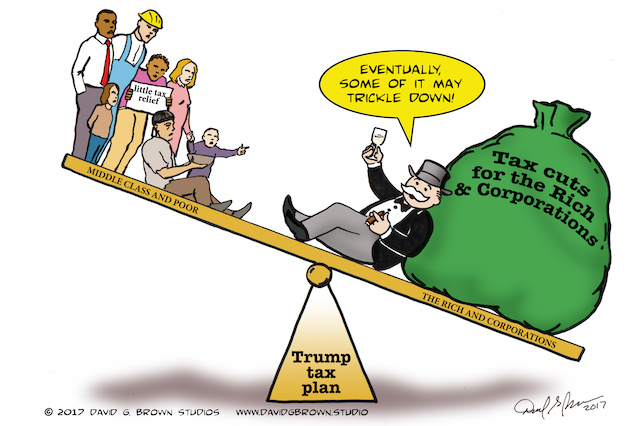 Trump screwed all of us with his Tax Cut which was a Tax increase. It was not paid for but was made part of the deficit, and went first to business, then to the upper class taxpayers. Now the middle income tax payers will pay for it. We see the far right wanting to include reduction of the national debt in all future appropriations. They will go after SS, Medicare, Medicaid as starters to pay for the Trump tax bill so that means most in here will start to pay for the business, upper class lower taxes quickly. Sadly people do not understand tax law or rules. We hear on TV for days now from Trump voters how they were screwed by him. They voted for a crook so what did they expect. People in high tax cities have lost a big deduction and now pay for that. We all pay more for items due to tariffs that help pay for the tax cuts. On and on it goes. The answer. Never vote for Trump or anyone with a R behind their name in 2020 then there can be true tax reform. How were we skrewed? By the realaity of Der Trumper's taxscam. Example #1: Two Srs AGI $50,000 in 2017 paid $3,078 but in 2018, same income they pay $3,120 be3cause of the loss of the personal deduction. Example #3: Coroporate Oligarchs pocket all of the $120 Billion that had gone to We the People and increase wages by less than 1% after inflation. The 2017 and 2018 tax tables, 1040's with instructions and supplementary forms for the child tax credit are available online, and except for the murkyness of the instructions for the child tax credit are not that hard to follow. Check it out for yourselves. The tax CUT went to those in the upper incomes. He cut the rate from 25% down to 15% for $38,700 of income above 38,700; from 28 dwn to 25% for the next $82,500; from 33 dwn to 28% for the next $157,500,; from 35 dwn to 33% for the next $200,000; from 39.6 dwn to 35% for the next $100,000 and the TMR now applies to incomes above $600,000 vs $500,000 in 2017. If a person wants to have their withholding set at an amount that gives them a large return they have the right to do that. What business is it of yours to criticize them for making that decision? Yep ............ postings from conservatives here are continually proving that to be true. When the IRS issued the new withholding table to employers for tax year 2018, they took into account that too many people were getting big refunds ONLY because they were having too much withheld from their paycheck and not correcting it year over year. Get real ........ If the IRS wanted everyone to not have as much withheld, they would have taken away the options of adjusting your withholding amount. Oh. sorry. You misunderstand. I was not talking about the refund. I was talking about giving so much of the tax breaks to the top 1% while the rest will be stuck with the deficits they create. I think the part about Trump being a moron was pretty self explanatory.